PEER is the trusted brand to the global industry leaders in agricultural and lawn and garden bearing products. PEER is a leading innovator in agricultural bearings, bringing patented maintenance free solutions to the industry and increasing the productivity of farmers and landscapers everywhere. We are committed to increasing our presence in these categories as a commitment to our customers. "The TillXtreme passed 2011 and 2012 tillage seasons in the rolling basket application without any failure and perform way better than the previous solution." PEER Bearing is a market leader in the agricultural industry supplying a full line of bearing solutions. 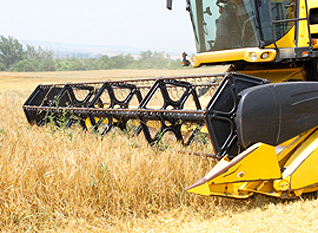 Bearings used in disc harrows, planters, harvesters and balers are expected to perform in the harshest environments. Crop and field conditions change with geography and season, ranging from dry and abrasive to wet and corrosive. Since contamination is the leading cause of bearing failure in agricultural applications, PEER seals are engineered to provide maximum contamination exclusion to extend the life of the bearing. PEER can offer standard, industry recognized sizes, or provide support to develop unique solutions to meet special customer requirements. PEER has released products specifically designed to meet the demands of the agriculture industry. PEER product offering encompass an ever widening variety of bearing styles and application specific solutions to cover the regional as well as the global requirements of this demanding industry. The PEER AP (Agricultural Product) line of bearings and assemblies, combined with innovative seal designs, ensure our bearings can perform in the most demanding of environments. Seals: Specialized nitrile seal material bonded to heavy gauge steel shrouds offer superior protection against abrasive or corrosive contaminants. Steel: High cleanliness, through hardened bearing steel is heat treated and precision machined for increased accuracy and long life. 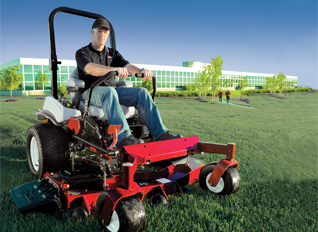 PEER Bearing is a market leader in the Lawn & Garden industry supplying a full line of bearing solutions developed specifically for the application environment. Bearings used in mower spindles and idler pulleys are expected to provide year after year of trouble free performance. Contamination is the leading cause of bearing failure in most Lawn & Garden applications, PEER seals are engineered to provide maximum contamination exclusion to extend the life of the bearing. TurfXtreme solutions are sealed-for-life deep groove ball bearings for the residential and commercial Lawn and Garden equipment market. The solutions are designed with proprietary technology intended to seal out clippings, water, and maintain seal integrity when exposed to wrapping debris and pressure washing. By preventing contaminant ingress, users realize longer equipment life, less frequent maintenance, and greatly reduced cost of machine ownership.